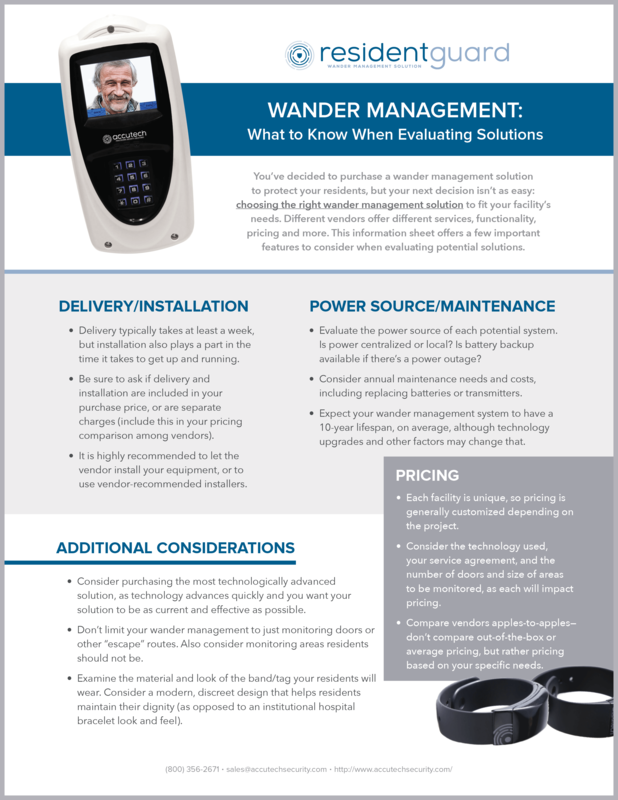 Thank you for downloading What to Know When Evaluating Wander Management Solutions. You know the importance of a reliable wander management system to protect your residents, but there are many options out there. Critical technology features and abilities to look for. What you need to know when evaluating pricing.